We know that Halloween has passed for the year, but that’s never stopped our kids from dressing up before! In our house, playing dress up is a year round thing. 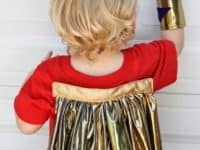 They’ll dress up as pretty much anything, but there’s one costume category that definitely beats the rest out like nine times out of ten when it comes to what your kids will choose to dress up as. Super hero costumes win costume of the day more often than not! That’s why we decided to make them a series of capes. 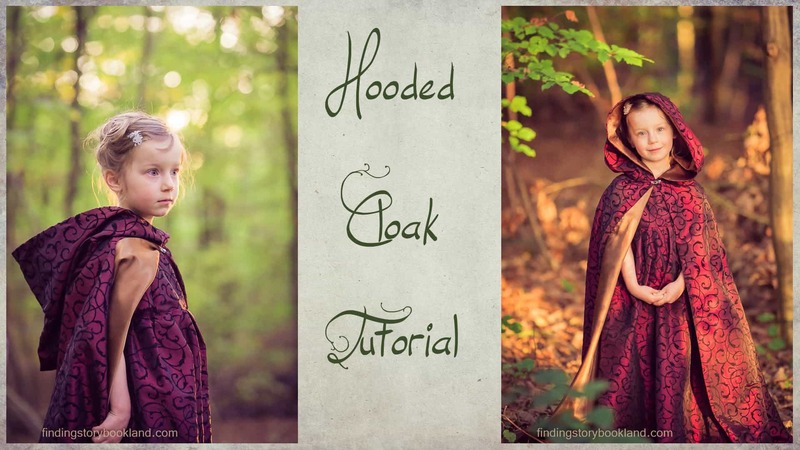 Lucky for us, there are plenty of awesome DIY cape tutorials out there for us to choose from! 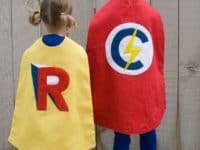 Just in case you’re also interested in making your kids awesome superhero capes that they can wear whenever they’re feeling particularly powerful, or maybe when they need a pick-me-up, check out these 15 awesome homemade designs! 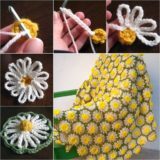 This tutorial from Inch Mark is awesome for two different reasons, making it double awesome! 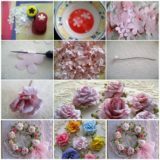 Besides showing you how to sew a fabric cape in just a few simple steps, their guide also walks you through the process of making your own appliques! 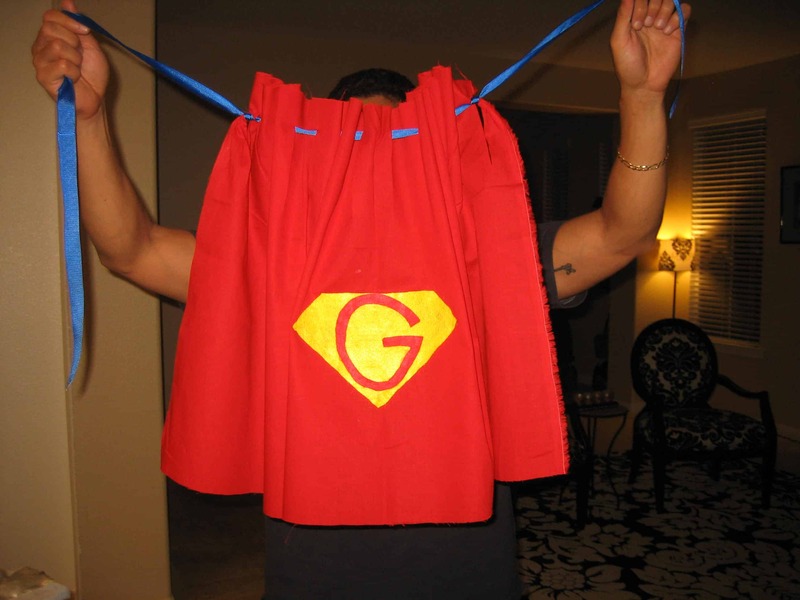 We love the way they used that technique to add a monogram to the middle back, giving your kids their own logos just like a real superhero would have. 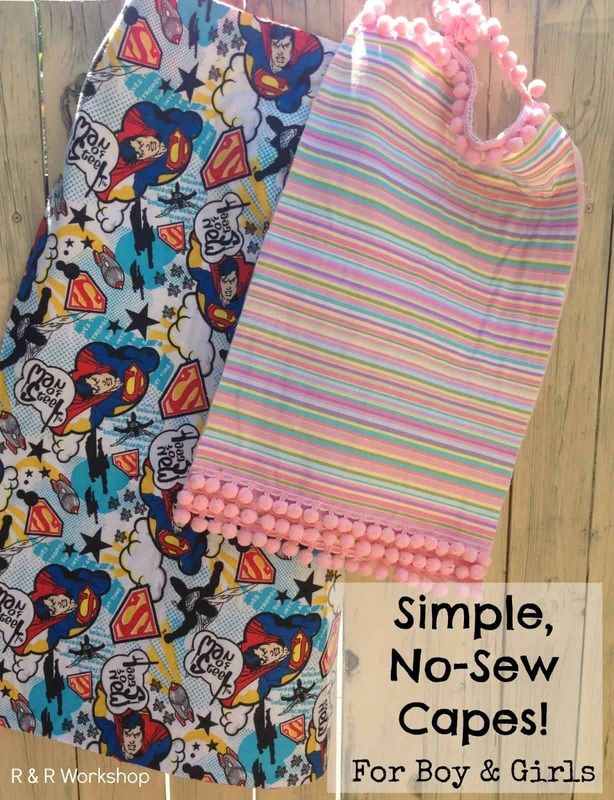 Are you intent on making a cape for your child but you don’t actually know how to sew and you don’t have time to learn before your little one needs it? 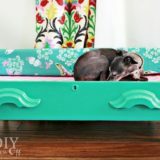 Perhaps you actually just have a few fabric scraps lying around that you’d like to turn into a very easy craft without spending a whole lot of time on it. 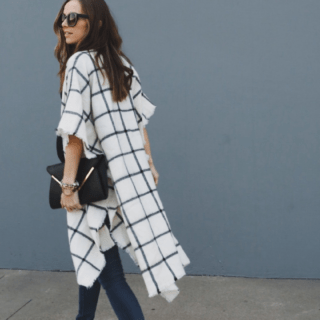 In that case, we definitely think you should check out this awesome ribbon-tied cape from Heather Thien! 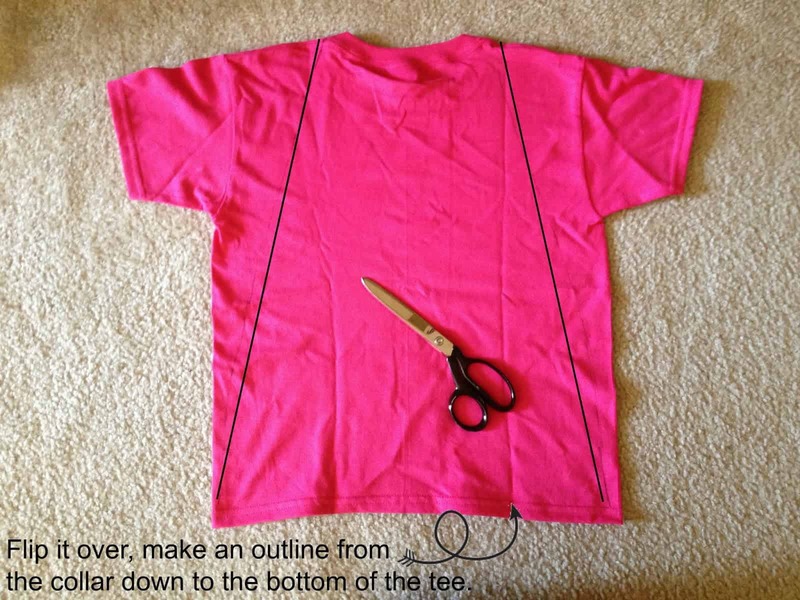 They show you how to cut strategically placed holes and thread the ribbon through so the cape can be tied on easily. Not every cape wearing character is a superhero in the classic sense of the word! To some kids, superheroes and Disney princesses are one and the same. 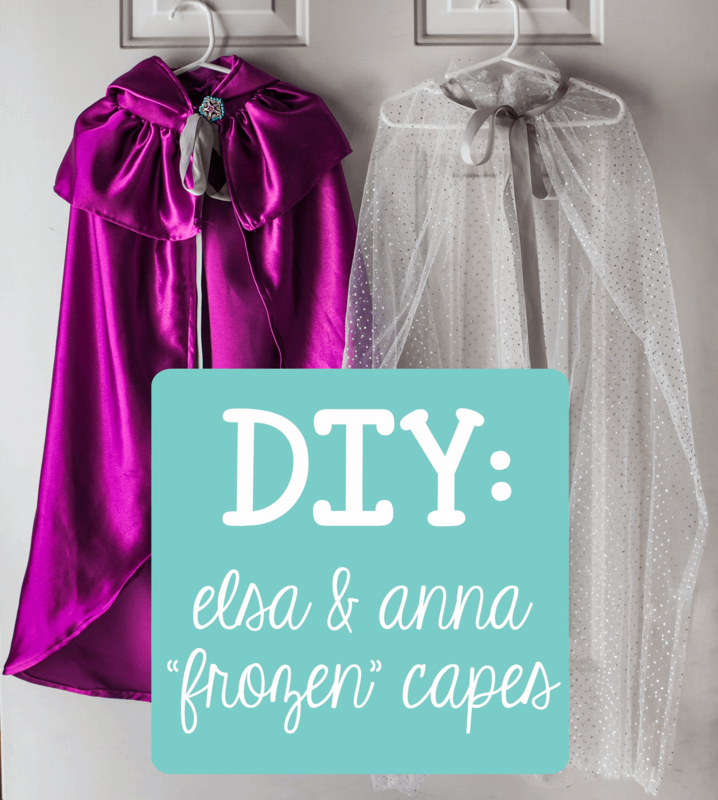 That’s why we thought these adorable little capes inspired by Frozen‘s Elsa and Anna were so darn cute! 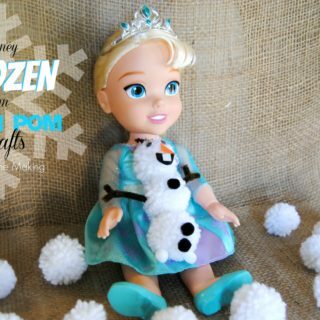 The How To Mom guides you through the process of cutting and sewing mini capes that look just like the ones the characters wear in the movie. 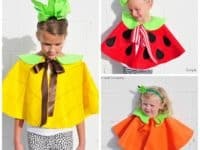 are you pretty well versed in sewing, so you feel totally prepared to make your kids basic capes, but you’d like some guidance when it comes to adding at least a little bit of fun detail? 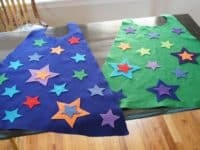 We know our kids most often like to dress up as specific superheroes, so we loved that The Cat’s Pajamas has a whole tutorial that walks you through the process of creating attaching appliques shaped like the different logos of all kinds of popular superheroes, like Spider Man and Captain America! 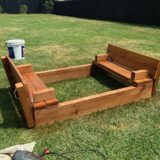 Are you the kind of crafting enthusiast that will take just about any opportunity to turn a DIY project into a chance to upcycle something you already own? In that case, it’s time to start looking through everyone’s drawers for some old t-shirts! 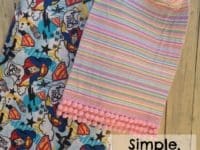 This cool little tutorial from 1001 Home Design Ideas shows you how to make a very simple cape using the back stretch of fabric from a plain old cotton shirt. 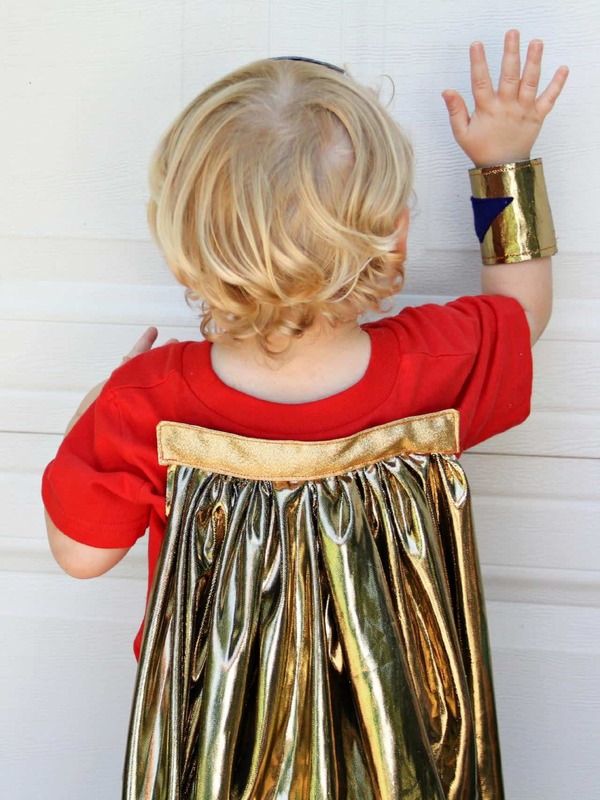 When your kids dress up as superheroes, are they always intent on being as eye catching and flashy as possible? In that case, we have a feeling they’re going to fall in love with this metallic fabric and matching arm cuffs idea from DIY Network! This tutorial shows you how to make a cape that attaches to the back of a t-shirt using a strip of Velcro. We love the way they gathered the material at the top so it cascades in pleats. 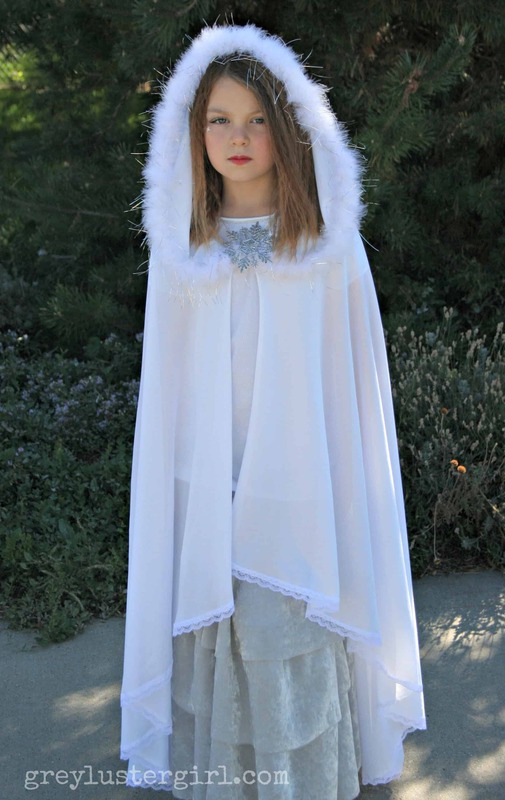 Are you still thinking about how pretty the Frozen themed capes we showed you earlier are and you love the idea of making a princess cape rather than a superhero one, but you’d like to add a hood? 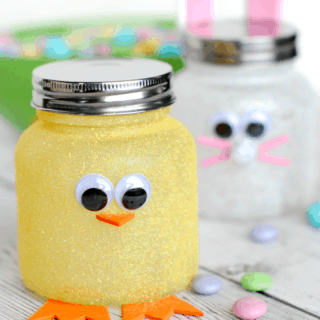 Well, we happen to think that’s an adorable idea! Adding a hood might seem intimidating though, so we’ve found a great resource to help you along the way. Finding Storybook Land guide you step by step through the process of creating a beautiful little cape that looks like something Little Red Riding Hood might have worn. Do you love the pleating effect you saw in the gold cape above this but you’re not sure you’re quite ready for sewing projects that involve gathering techniques because you’re worried that yours won’t be very neat? 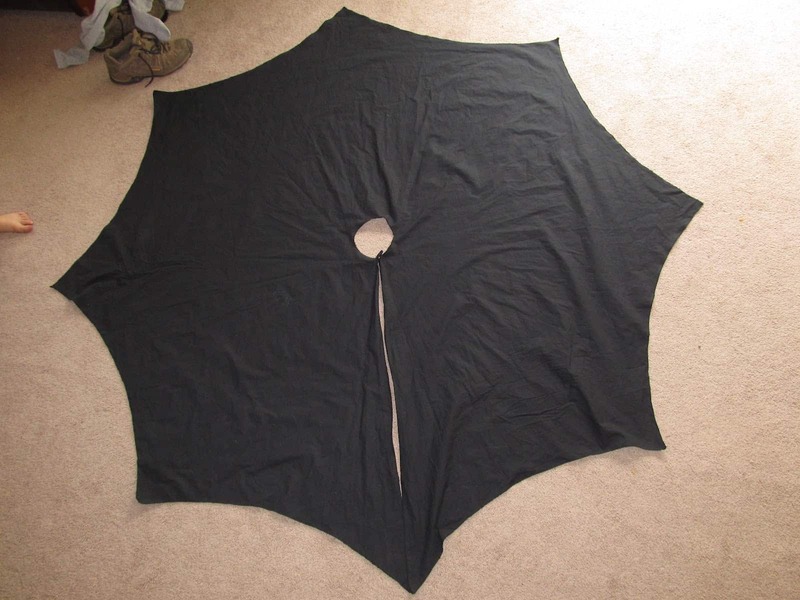 In that case, we think you might prefer this full circle cape technique from DIY Project Crazy! Using a Batman cape as an example, they show you how making a cape from a full circle of fabric lets the material fall in a similar way. 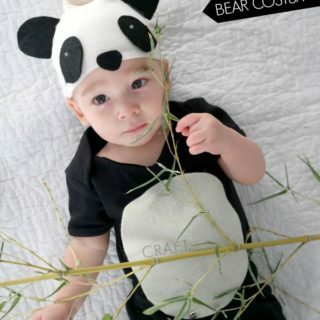 Are your kids still intent on dressing up kind of spooky even though they know Halloween has already come and gone? Well, if you’re anything like us, you’ll craft just about anything as long as it makes them happy. 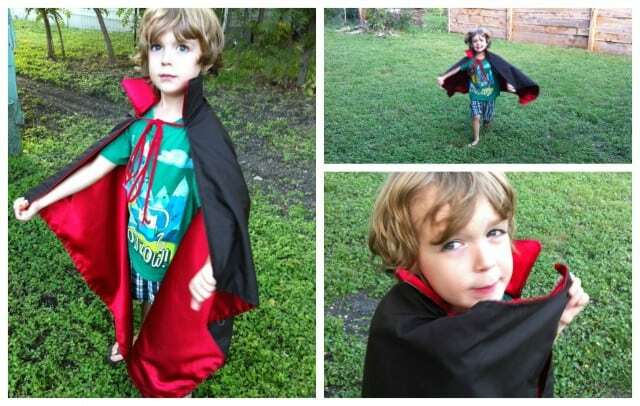 That’s why we couldn’t resist including this cute vampire cape from The Bottle Tree on our list! We love that this design comes with a high, dramatic collar, just like Dracula’s is usually depicted as having. 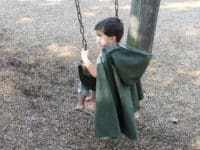 Did you make a beautiful hooded princess cape but your son fell in love with the garment immediately and now he wants a version of his very own? Then why not make him a hooded cape that looks like something Robin Hood might wear? 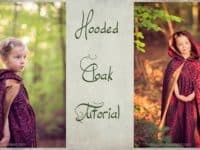 Sticky Sugar Stitches has a great tutorial that walks you step by step through the process of making a simple hooded cape that has style without a lot of girlish detail. Were you very intrigued by the idea of upcycling old t-shirts into any number of capes for your kids but you want to make sure they can get them on and off very easily so you’re not always having to tie them up every time someone wants to make a costume change? 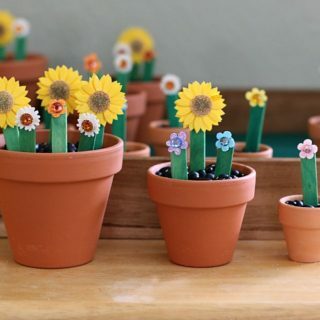 In that case, check out this cool crafting hack from Big Pictures Studio! 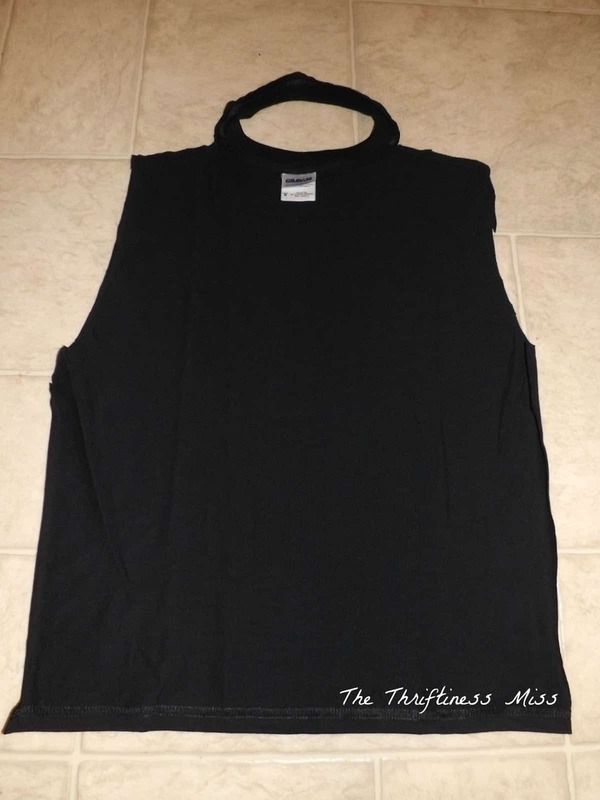 They suggest leaving the neck band on at the top of the cape when you cut it from the back so that kids can easily slip the garment on and off over their head. 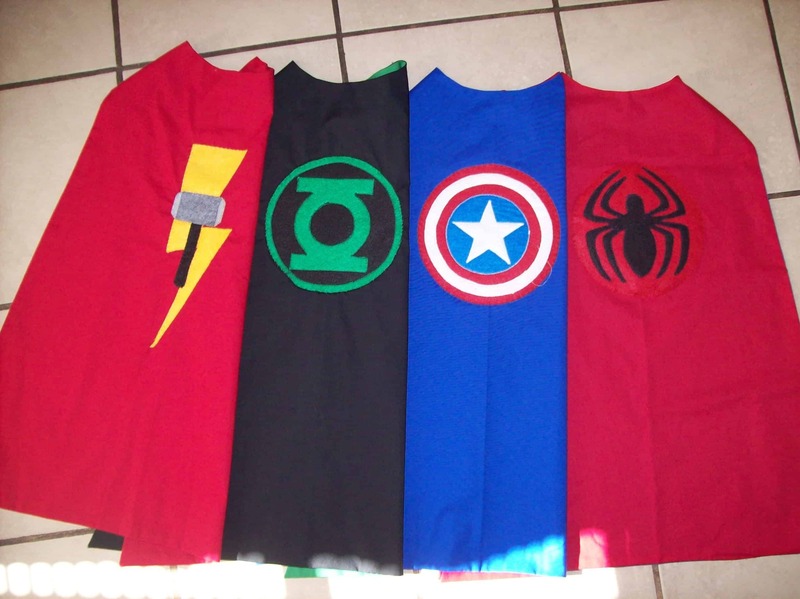 Are you very into the idea of appliques, but you’d rather make your kids capes that are just generally awesome instead of being themed after any one specific superhero? 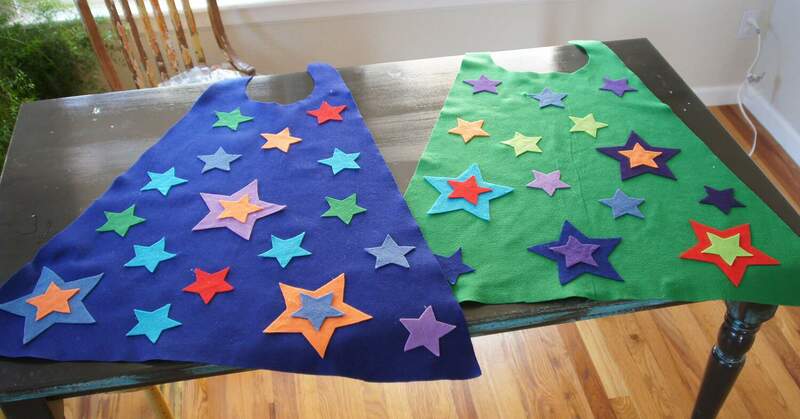 Well, the moment we saw these awesome felt star capes, we knew immediately that our kids would love how bright and cheerful they are. 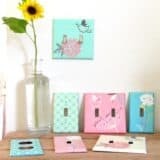 Between that and the simple, straight forward way that Paper Fish Designs shows you how to make them, we just had to include this option! 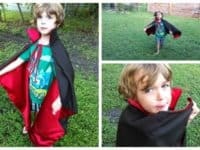 What if you’re into the idea of making your kids capes because they’re easy to transform into all kinds of outfits, even if the costume you’re thinking of isn’t actually a superhero or cape-wearing character? 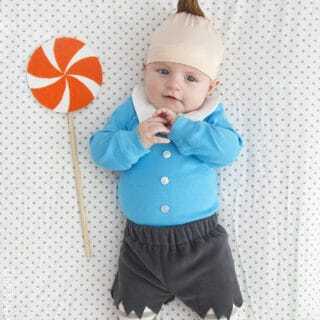 In that case, we definitely think you should check out the way Simple Simon and Co created all kinds of funny little costumes that transform your kids in one simple step- tying on the cape! 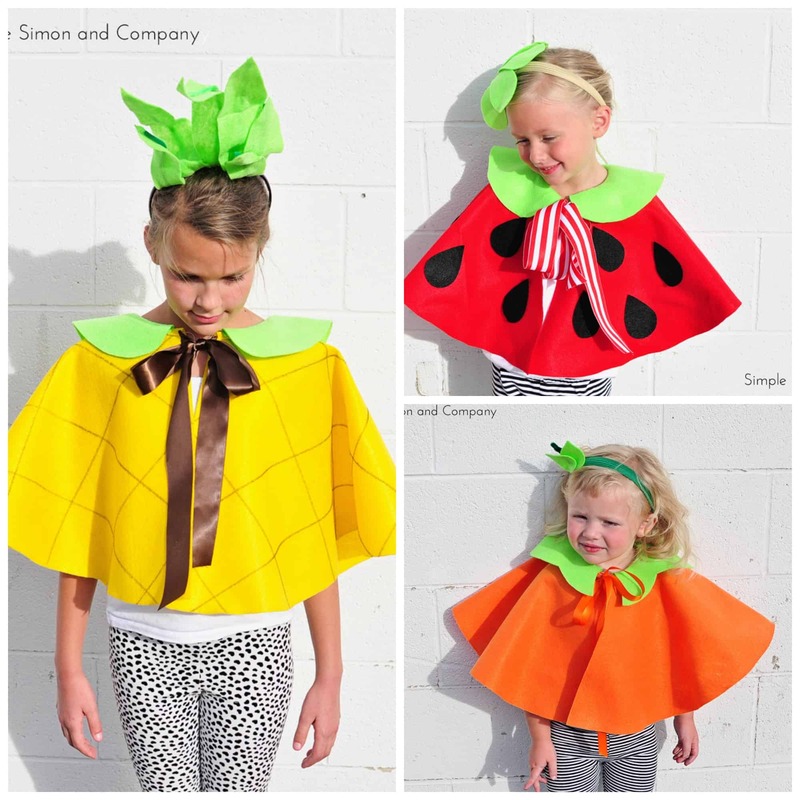 We’re obsessed with these adorable fruit designs that use short capelets to look like a pineapple or a strawberry. 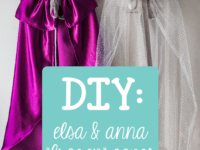 Were you rather taken with the idea of making a princess cape but you know that your little girl has a flare for drama, so you’re looking for some guidance in adding a few fun embellishments? In that case, we have a feeling you’re going to love this lace trimmed cape with a fur-lined hood around the face. Find out how this design is made in surprisingly few steps on Grey Luster Girl. 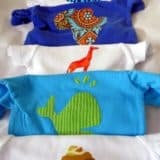 Are you still thinking about how much you love upcycling old household wares into costume items for your kids but you’re run out of t-shirts to transform? Well, perhaps you have some old pillow cases lying around that you could use instead! 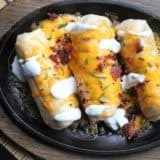 Believe it or not, those can be transformed into simple superhero capes too. 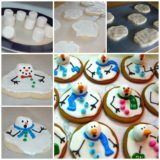 Take a look at this tutorial from R & R Workshop to learn how it’s done! 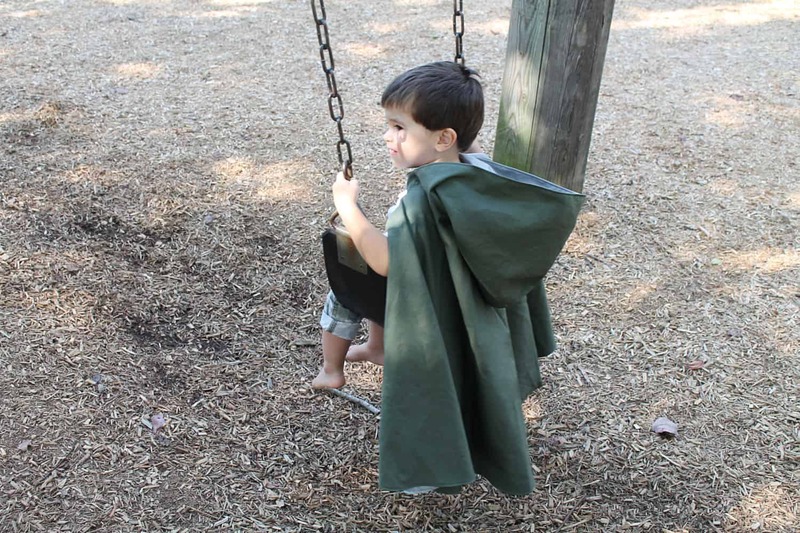 Have you made other kinds and styles of capes for your kids that they absolutely love wearing but you don’t see anything similar here on our list? 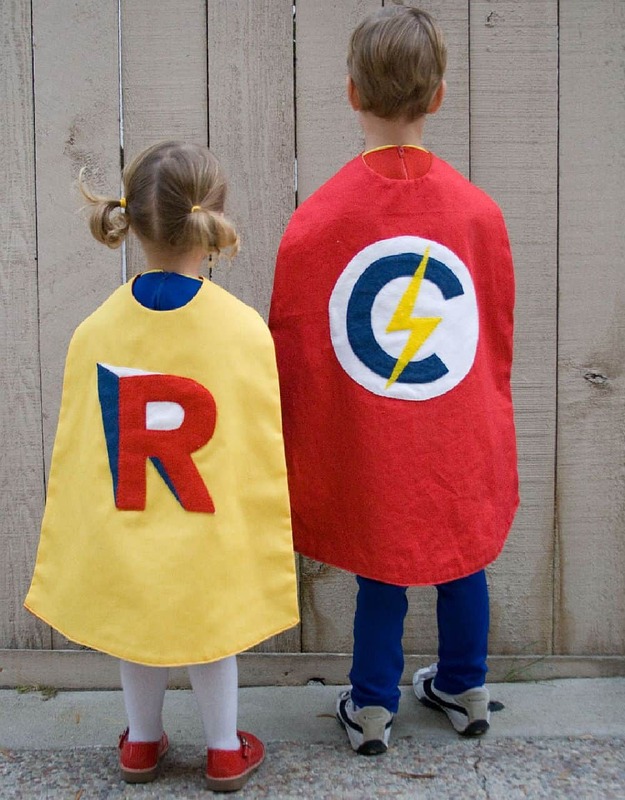 Tell us all about the one you made or link us to pictures of your cape in the comments section!